This is the first part in a series of posts supporting HMS Acasta's Press Gang Week. 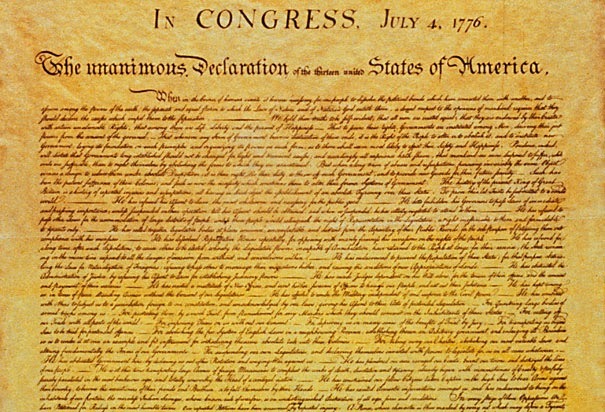 Though Americans are familiar with the general gist of the Declaration of Independence, the specific points are less well known. He [King George III] has constrained our fellow Citizens taken Captive on the high Seas to bear Arms against their Country, to become the executioners of their friends and Brethren, or to fall themselves by their Hands. With renewed enforcement of the Navigation Acts in the 1760's and 1770's, many Americans were being arrested at sea. This grievance, however, is not what is being addressed here. Those smugglers who violated the Navigation Acts were prisoners, not necessarily pressed. This specific complaint is instead about the effective nullification of the American Act of 1708, sometimes called the Sixth of Anne, that (among other things) forbid the use of impressment against American colonists, deeming it to cause unwarranted damage to the empire's economy. Legal opinions over the next few decades cast doubt on the act, and though Americans were staunchly opposed to these opinions, the Royal Navy maintained that it had the legal right to press Americans into service. The insistence by the Crown and the Royal Navy of their right to force subjects onto warships contributed to the colonists' agitations. Throughout the eighteenth century numerous riots, especially in Boston, were sparked by the violent press gangs. Next time, we'll be addressing one of the most sensational of these: The Knowles Riot of 1747.